Abrasive blasting is a popular technique used by professionals for metal finishing. 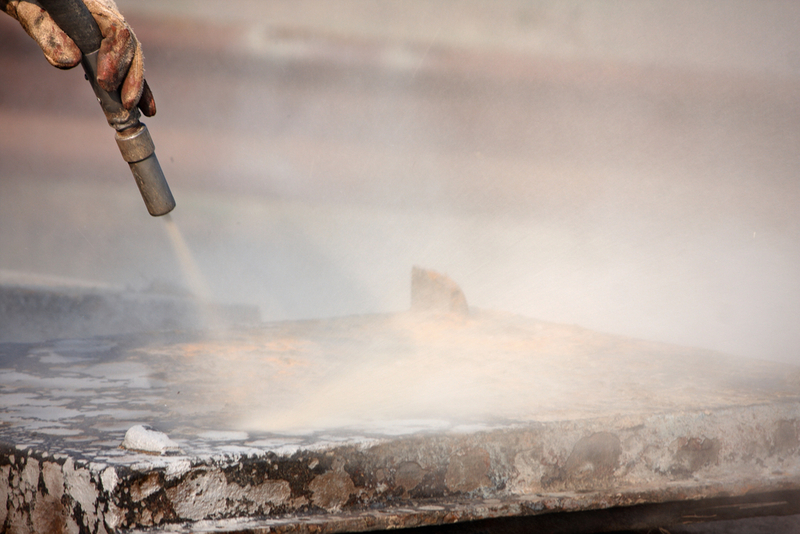 If you have a hard surface that needs to be smoothed or roughened, abrasive blasting might be the answer. The below guide explains its process, common uses, and benefits. Abrasive blasting is used to alter hard surfaces. Tiny particles are blown onto a hard surface at a high rate of speed to create friction. This friction removes blemishes and creates a smooth surface. Professionals use air pressure systems and wheel blasting technology to generate the amount of speed required for abrasive blasting. What Types of Abrasives Are There? The industry has options for what abrasives to use, depending on the metal finishing desired. Sand is the most popular abrasive. Other hard abrasives include steel shot, glass beads, and garnet. Soft options are generally used to eliminate paint without scratching the surface. These include rubber, fiberglass, and plastic. What Is Abrasive Blasting Used for? Abrasive blasting is effective at preparing new materials for many uses. It can supply the final touches on mechanical components by smoothing out the burrs and refining the edges. It can also roughen up material before thermal spray painting to ensure proper adhesion. For older materials, abrasive blasting provides a different type of metal finishing. It can eliminate any rust or scale buildup, leaving the surface looking brand new. This helps restore the condition of the material and provide a way for companies to incorporate it into newer equipment. If your company is in need of metal finishing, reach out to the professionals at Porter-Guertin in Cincinnati, OH. This locally-owned business is an industry leader, supplying a wide variety of industrial metal finishing services. Each technician is highly-trained in the latest methods for finishing metal and boasts a superior knowledge of their craft. Learn more about their team of experts by visiting their website or call (513) 241-7663 to request an estimate for an upcoming project. Other Announcements, Events and Deals from Porter-Guertin Co.